A report has been commissioned by the Prime Minister to look at improving retention of personnel in the Armed Forces. It comes after more than 5% (7,500) quit the military in 2017 – an increase from just under 4% in 2010. Best Retention Former Defence Minister Mark Francois MP, who sits on the Defence Select Committee, has been chosen to lead the report. 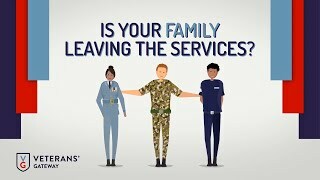 The research team is looking to hear from current serving personnel, including those who have recently left the military and their families, as well as the charity sector. The team’s objective, as set out by No. 10, is: “To understand how to create an environment that ensures the best retention of service personnel for as long as defence need them.” Getting Worse Mr Francois told Forces News that retention in the Armed Forces is “getting worse”. “We really have to do something to address the retention issue, not least for the sake of personnel and their families, but also for operational reasons – for defence,” he explained. “We cannot defend the United Kingdom if we haven’t got the skilled personnel there to do it.” “We’ve got to do something to improve retention within the Armed Forces, the idea of this report is to try and work out what that is and try and make it happen.” In Freefall The initial findings of the report will be shown to the Prime Minister and Defence Secretary by the end of July. The full report will be released by the end of 2019. On Monday, Shadow Defence Secretary Nia Griffith said the size of the Army was “in freefall”, with numbers having dropped from 78,000 to 75,900 in just under two years. During defence questions, Ms Griffith said Minister for Armed Forces Mark Lancaster should quit if the number fell below 70,000. But Mr Lancaster said he would “certainly not” quit and dismissed claims that Army numbers were in freefall. He said the Ministry of Defence is “confident that numbers will increase” and “the Army remains at 93% manning and can meet all of its operational commitments”.